Aborted is a Belgian death metal band from Beveren, formed in 1995 in Waregem. The group consists of vocalist, founder, and only constant member since the band’s inception, Sven de Caluwé, guitarists Danny Tunker and Mendel Bij De Leij, bassist Stefano Franceschini , and drummer Ken Bedene. Although the band originally had an entire lineup of members living in Belgium, Aborted’s current lineup now features members from Belgium, The Netherlands and the United States. The band has released nine studio albums, four EPs and one live performance video album. 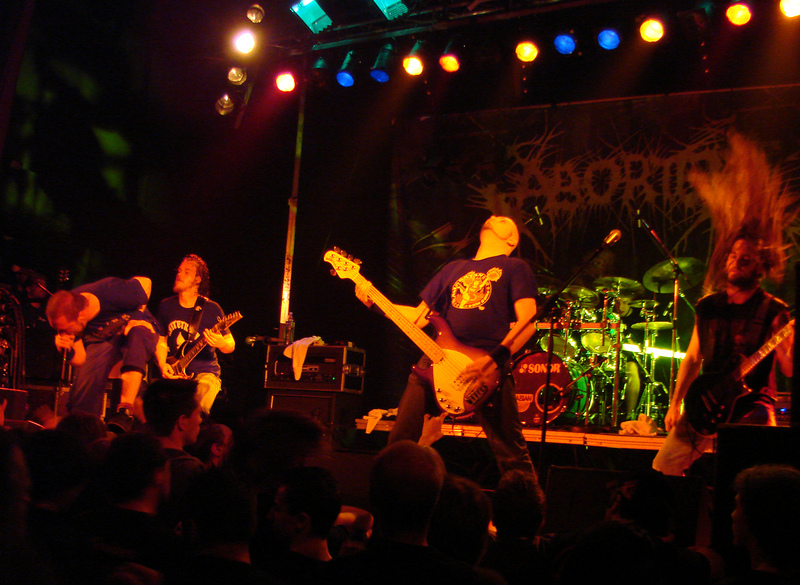 Allmusic stated that Aborted "had grown into the role of key contributors to the ’brutal death metal’ genre" and described the band’s style as "unrestrained grindcore savagery and meticulously crafted death metal technicality".